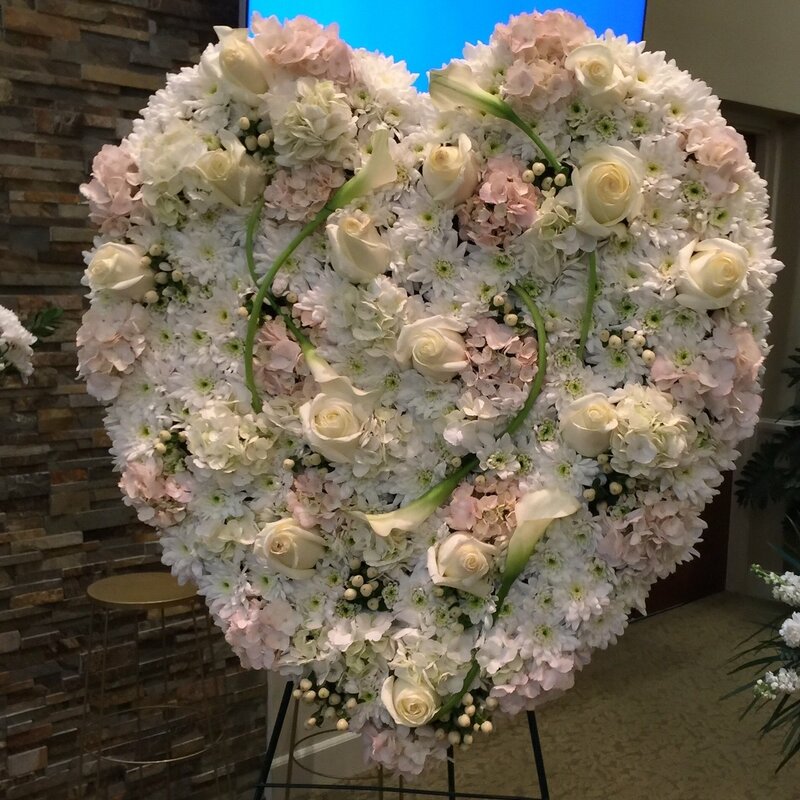 Honor the passing of a loved one with this exquisite heart of hydrangeas, roses, calla lily, hypericum and chrysantemum. This heart shaped wreath is beautifully arranged and expresses your true sympathy and respect for a loved one. Standard display includes 55 stems. Deluxe display includes 65 stems. Premium display includes 75 stems.